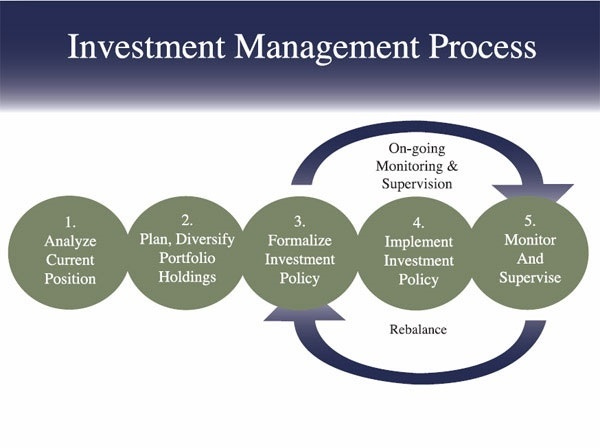 The Investment Management Process utilized by Gordon Wealth is based on structure and discipline. There are five steps which represent our process, each of which proves essential in developing and implementing an investment methodology which is best suited to our clientsʼ needs. We also understand that one of the best ways that we can help our clients work toward achieving their long-term investment objectives is through communication. We take pride in knowing as much as possible about our clients before recommending what we consider to be the most appropriate investment solution.